Life with Riley ~ Never Know What the Day Will Bring…. 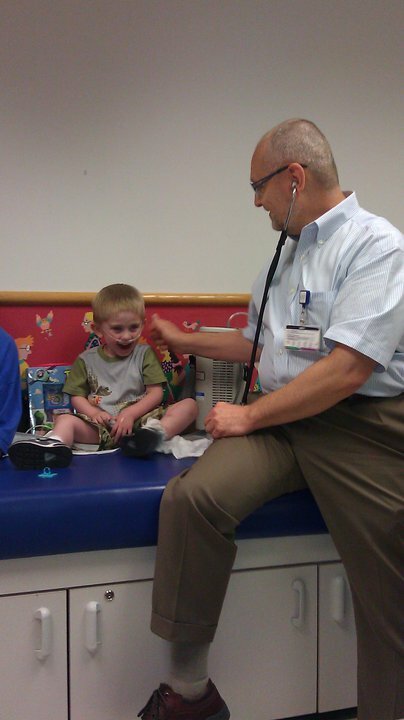 On May 14th ’11 the phone rang at 6am and it was Children’s Hospital calling that they had a Match for Riley! After spending 10 hours in the CICU we returned home because the heart and lungs were No Longer in good enough condition for transplant. I Never imagined that day playing out that way! Today, June 27 ’11, started like any other Monday. Ran some errands and then took the boys for haircuts with Darren. While Riley was getting his cut my phone rang. I immediately recognized CHOP’s main number and that it was 6pm; there for After Hours! I looked at Darren and said…. “Are you Ready?? ” It was once again Children’s hospital calling and they “believed” they had another match for Riley! They asked me to stop his feed if he was feeding and hold off on his meds. They were going to call us back soon and tell us whether to come in or not! Now…. Why call twice?? Dr. Spray wouldn’t be performing the transplant, Dr Ganner would be! He would have been our second choice so it was Really Ok! Dr Ganner felt that we should be aware though and kinda given a heads up! I guess in case we wanted to say No, because it wasnt Spray!? That wouldn’t Happen!! So I made the calls that needed to be made and arrangements that needed to be made and waited about an hour for CHOP to call back. 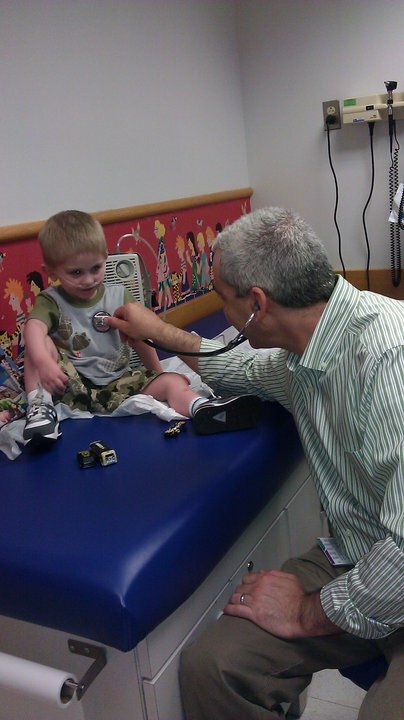 When they did Dr. Ganner thought it would be a Good Idea for us to head over to the CICU within the next hour! There still was one test result they were waiting for but they were pretty secure in this being a Go. I packed all the bags and we were headed out the door when the phone Rang. It was CHOP. The heart was damaged! Sorry! I didnt expect this whole World Wind of Emotions Today. As the day progressed I imagined myself setting bedside to Riley Post transplant right now. Not writing that we had Another Dry Run! This is Our Life with Riley! At Any Moment…. No Matter What we are Doing…. Where we are… What Time of Day it is…. We can get the Call that will Save His Life and Really Change Our Lives Forever! I Just Pray for the Day that it All Follows Through and Riley gets his Gift of Life! Riley was born 4/4/08 with Heterotaxy Syndrome (Asplenia Type) with CAVC (common AV canal), Pulmonary Atresia, Right Ventricle to Aorta, TAPVR (total anomolous pulmonary venous return) (Infradiaphragmatic-unobstructed) and RRA s/p LMBTS (right aortic arch status post left modified BT shunt), patch augmentation of Pulmonary Artery bifurcation and TAPVR repair at 4 days old. He subsequently developed stenosis of each of his pulmonary veins and has undergone over a dozen Cardiac Catheterization with dilation/stent placement in all four pulmonary veins. He has also had a stent placed in the BT shunt. As of today Riley only has his RUPV and LLPV remaining. The other two have completely occluded. 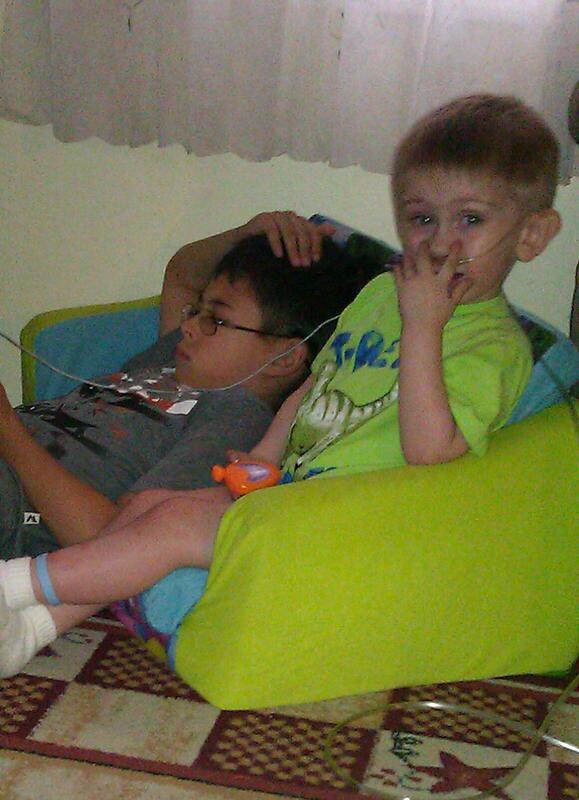 As of 11/2/09 Riley has been listed for a Bilateral Lung/Heart Transplant and requires continuous O2. Riley also had the Ladds procedure 1/6/09 along with placement of a G Tube. 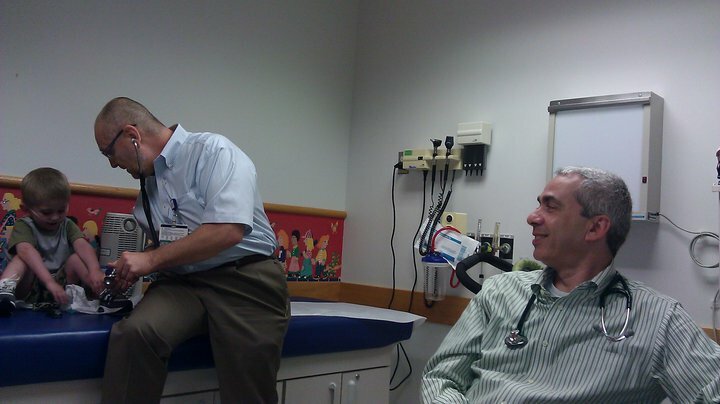 Visit with Dr. Hanna and Dr. Goldfarb…. There has been Alot of Miscommunication in the last few weeks between Our Teams at CHOP. Pulmonary and Cardiac! The fact that Both Dr. Goldfarb and Dr. Hanna were in the room at the Same Time Today was Just what was needed to Clear any Misunderstandings!! So Now Riley will see Hanna in 2wks then Goldfarb in 4. Back to Hanna 2 wks after that and so on! Not… Goldfarb in 4 wks then Hanna 4 wks after that! Next Cath will be in about 4 wks! 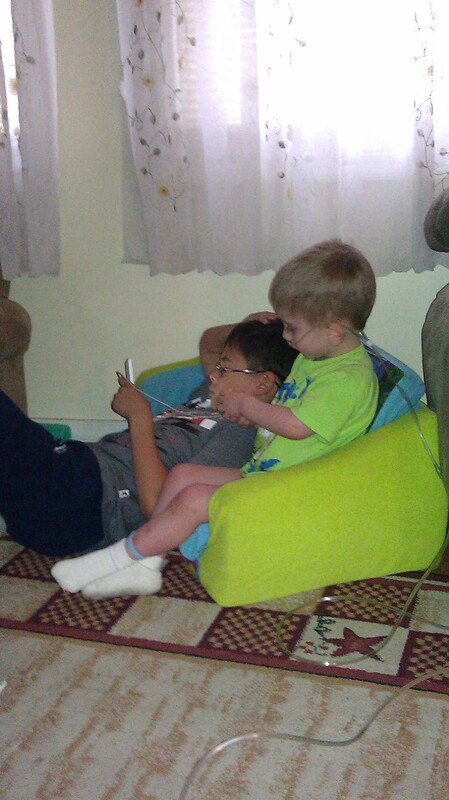 Unless Transplant..
Riley Has to be Everywhere his Big Brother is! Christian actually doesn’t mind even though he doesn’t look so Happy here…Lol.